The Drama Club's performance of Really Rosie was full of energy, excitement, and, of course, humor! Dominque Regli, starring as Rosie, wowed the audience with her strong vocals and commitment to Rosie's hysterical whims. Immanuel Mykyta-Chomsky's accompaniment on the piano throughout the entire show was incredibly impressive, as the show features bouncy, uptempo tunes. 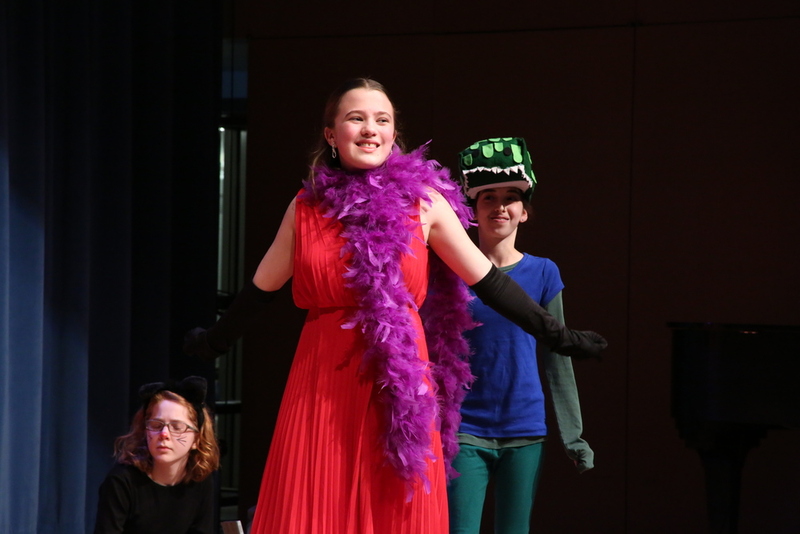 The performance featured 1st through 8th graders, and it was evident that all cast-members enjoyed themselves as they showcased their hard work from this past year. Congratulations, Drama Club, and a special thank you to the eight graders for performing for us for all of these years. You will be missed! For more photos, go to Kate Riccardi Photography.